It’s that time of year! There’s a chill in the air, Octoberfest beers are out in stores, pumpkin lattes are here, yep… It’s fall! You know what that means don’t ya? Halloween is just around the corner! We at DogGeek love Geeky Halloween costumes for our pups! Here’s our 10 favorite geeky halloween dog costumes. 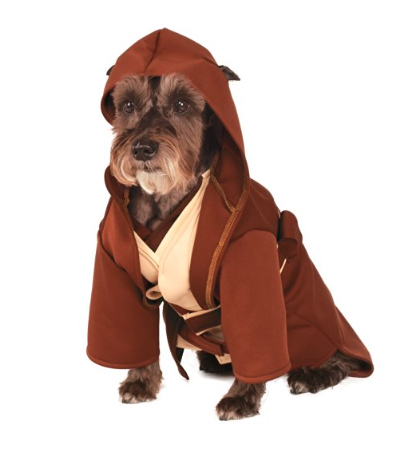 What’s your favorite Star Wars dog costume? Dogs are finally getting their day as technology races to catch up to what their owners really want. In fact, Grand View Research reports that the global wearable pet market is expected to reach $2.36 billion by 2022. And that just accounts for the pet wearable market. There is also a growing market for monitoring devices, interactive toys and pet feeders. Fortunately, those gadgets aren’t just about novelty and fun, but can make a big impact on how your pets live. Here are five hi-tech gadgets to put on your dog’s wish list. If you’ve ever wondered what your pup is up to while you’re at work, you can set-up an inexpensive monitoring system to watch them online. Protect your best friend and your home with a DIY security system. Lorex Technology offers indoor and outdoor wireless camera systems so you can monitor what’s going on at home whether you’re around the corner or across the country on a work trip. Their app can also compile a list of motion-triggered alarms so you know if your dog or someone else is in an area of your home they shouldn’t be. It’s a common worry for dog owners to wonder if their furry ones are feeling lonely or want a playmate when they’re flying solo. This is where interactive toys come into play. The Go Bone moves around on its own to challenge your dog and get him on his paws. You can even control it from your smartphone so you can play with him while you’re away from home. The ultra-durable bone can take a chewing or beating and still work great for the next round of play. 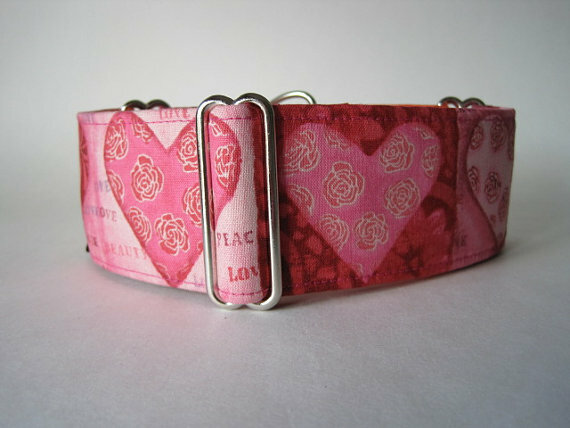 Dog collars have gone from basic to ultra glam to super smart with the Link AKC Smart Dog Collar. The GPS pet tracker keeps tabs on what your dog is up to and if your dog is safe. Bonus point that you can also monitor your dog’s health and his activity to make sure your best friend isn’t getting too hot or overworked. 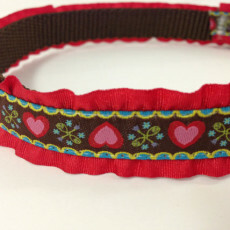 And just because this collar is ultra smart doesn’t mean it’s not highly attractive. It comes in high-quality leather in a range of sizing options. It’s one thing to have a pet feeder to make sure your pups are getting fed every day while you’re out, but you can take charge of your pet’s unique nutritional needs with Petnet. Their automatic pet feeders schedule out your pet’s meals like a culinary pro and also measures out the portions right from your phone. Their app also helps figure out daily meal goals with recipes and ingredient ideas so you’re never left wondering if your dog is getting sound nutrition. Humans have been wearing FitBits for years, so why shouldn’t dogs? The FitBark helps take control over your dog’s health and get them moving again. According to FitBark, 54 percent of U.S. dogs are affected by obesity and represented the single largest epidemic of pets today. And it’s not just a cute gadget that keeps track of your dog’s activity levels and keeps them fit and sleek. The FitBark 2 was also created in collaboration with over 45 veterinary schools and research institutions that use the FitBark to study mobility and skin issues, nutrition, vision and other ailments facing dogs today. 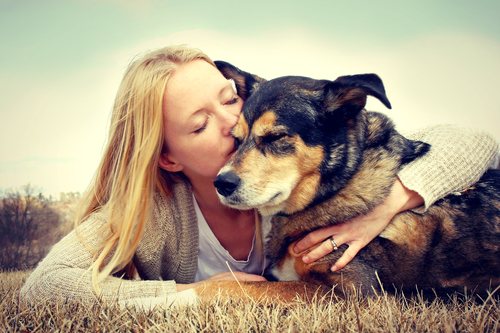 Taking control of your dog’s safety, health and happiness creates a strong bond between you and your best friend and streamlines your daily life at the same time. 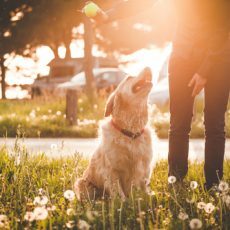 Start with the tech that makes the biggest impact in your dog’s life and then branch out to those fun must-have gadgets you don’t want to live without. A quick walk around the block on a leash isn’t enough physical activity for dogs. Dogtime recommends 30 to 60 minutes of exercise a day, depending on the type of breed and how active they are. But what if you don’t live near a dog park for additional play? 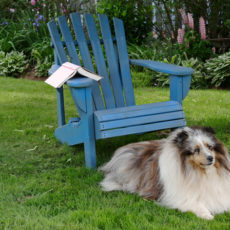 Make a dog retreat in your backyard complete with an obstacle course and design an inspired resting area. 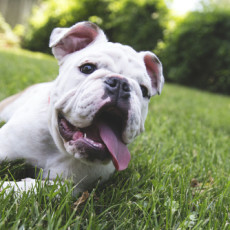 Here are five aspects you need to create a dog-friendly backyard that is fit for a king. 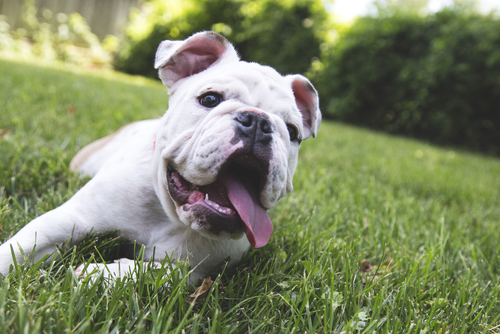 Dogs love playing and resting in the sun, but can get overheated after a day of play. 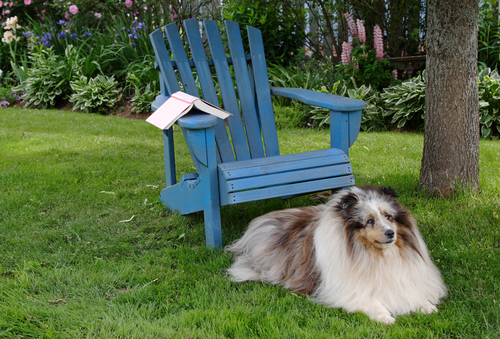 Create a shady retreat in your backyard where human and dog friends can cool off. Position benches, an outdoor chaise or a porch swing attached to a tree to cool off. Make sure to put some of your dogs’ favorite calm down toys and lovies nearby so they can nuzzle and gnaw in the shade. Place a few bowls of water out and break out the frozen treats to make it a family affair. Sugar-free popsicles or cucumber ice water for the kids and grown-ups and Frosty Paws for the dogs are a good place to start. 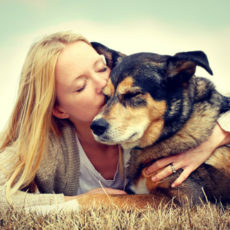 Dogs are loyal companions and want to be where the people are. Situate your outdoor patio furniture in a shady area, or add patio umbrellas to block the sun. Roll out an outdoor island or bar cart to stock with snacks and treats. Get inspired by the W Hotel’s Fido’s Kitchen in Los Angeles where patrons and pooches dine together with an organic dog menu of Apple Crunch cakes and blueberry scones. Dogs often flee their yards because they’re bored or curious about the greener side of the grass next door. Set up your own agility obstacle course with tunnels, a teeter totter for running and balancing and plenty of things to jump through to keep them occupied. Try tying a tie to a rope and hang it from a tree limb that’s low enough for Fido to soar through. Situate a line of PVC piping to let your dogs weave in and out of the course and show off their skills. A fence is necessary for dogs and children to play safely in your backyard. But that doesn’t mean you need to let an unattractive wooden or chain fence distract from your dog-friendly retreat. Add green vines or paint a wooden fence with a mural or your favorite dog motif to turn it into a canine-inspired beautification area. 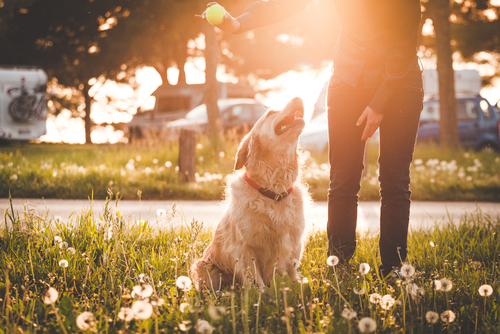 Your dogs will feel more at home in their natural retreat and can watch the butterflies and birds playing along the green vines and flowers along your fence. Dogs love to dig, so give them a place to do it that doesn’t involve your flower beds. Set up a dirt or sand box in a small wooden encasement and let your dogs dig and bury to their heart’s content. A tiny wooden fence or retainer around the box keeps the dirt where it belongs. Arrange some favorite toys or bones nearby so your dogs can hunt, dig, hide and retrieve. If you discover your dogs are actually using their digging depot as a bathroom spot, create a separate dirt spot alongside it and put a small doghouse around it that makes it easy to hide and clean up later. 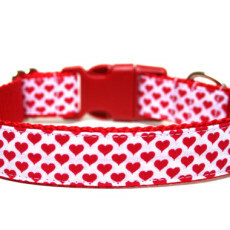 Valentine’s day is this week and your dog deserves some new bling to show the love. 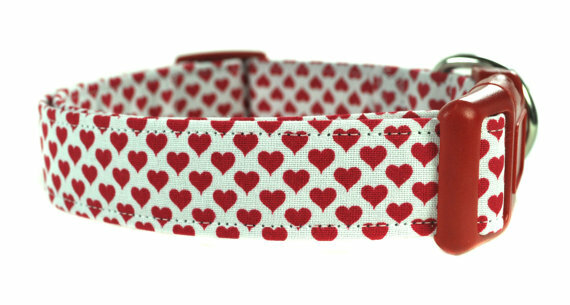 We’ve found these cute dog collars to celebrate. 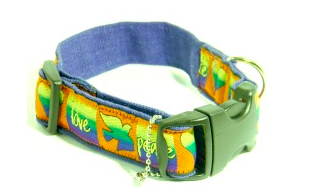 The Whistle GPS Tracker attaches to your pet’s collar and lets you track their daily activity on your phone. The tracker comes with a rechargeable energy source, so you aren’t going through multiple batteries that will be discarded as toxic waste. The device sends you text and email alerts so you know what your pup is up to. It also provides you with food and medication reminders so you, or your dog’s caretaker, can take care of their health needs. You can use this tracker in tandem with a high functioning smartphone, like the Samsung Galaxy S7, which can accommodate the Android app for the Whistle GPS. A low tech accessory that will respect both your pet, your neighborhood and the earth are biodegradable waste bags. Pogis Poop Bags utilize EPI technology that allows the bags to break down in as little as 18 months. The leak-proof pet waste bags are boxed in 100 percent recycled cardboard cores and other recycled materials. Plus, the bags have a fresh powder scent that will shield you from the water odor. The Balakie Grooming Brush is an earth-friendly item that will keep your pup’s coat in top shape. This low-tech tool has a practical design with an ergonomic, no-slip handle and a hidden button that can quickly separate the brush blade from the handle. The brush is made with eco-friendly material that’s non-toxic, non-polluting and safe to use. This accessory reduces shedding up to 90 percent and will keep your dog’s coat healthy and knot-free. Keep your furry best friend safe, within the confines of your yard. Install an invisible fence that will monitor your pet’s whereabouts and ensure they stay secure when they roam outside. The Eco Extreme invisible fence batteries are eco-minded as a long-lasting energy source that will reduce battery waste. The company utilizes earth-friendly materials when building the batteries, so the battery technology is less damaging to the environment than many alternatives. Keep an eye on your dog when you are away, so you can ensure they are happy and safe within your home. The Furbo pet monitor is a means to interact with your pup, even when you are away from home. Furbo is a smart dog camera that will let you view, talk to and play with your dog. The Wi-Fi-connected camera can be accessed through your smartphone or tablet, so you can check in on your pet anytime and anywhere. Furbo can also serve as a container for your dog’s treats, so you can toss their favorite treats in the air for a game of fetch. This eco-friendly feature keeps you from wasting dog food that you may set out in your absence, and instead make sure they are fed in a sustainable and waste-free way.